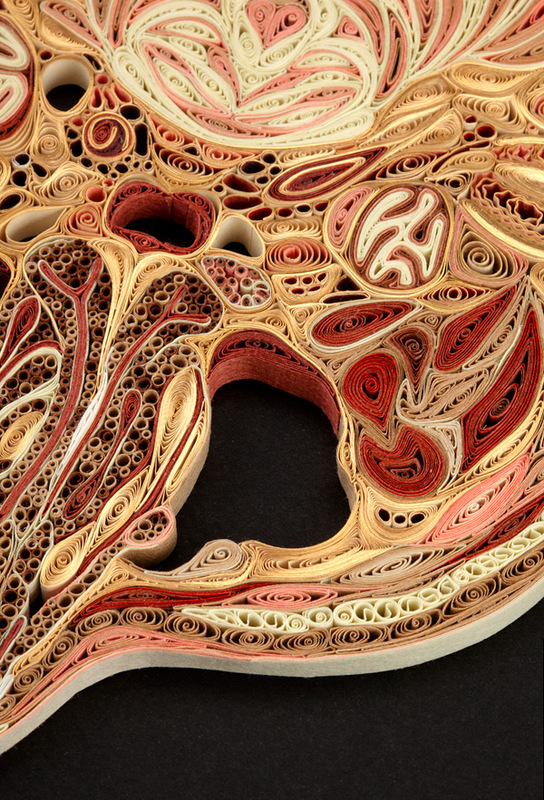 Artist Lisa Nilsson created these beautiful anatomical cross sections using rolled colored pieces of paper. Each artwork took several week and you can find very detailed construction of every muscles, organs and blood vessels of human body. That’s a very creative, as well as eco-friendly piece of art. Isn’t it?